Thickness 3.2, 4mm, 4.2mm, 5mm, 6mm, etc. 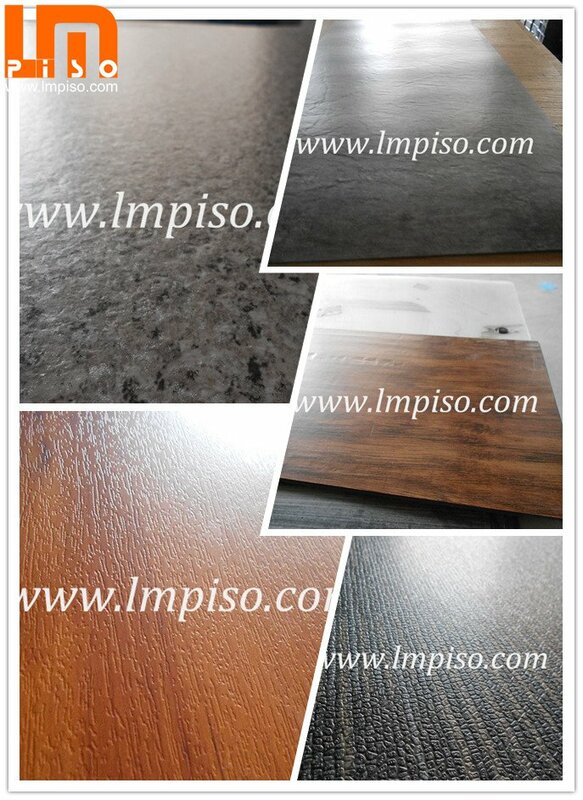 SPC flooring (Rigid Core Flooring/Rigid Vinyl flooring)stands for Stone Plastic Composite.The main component is lime stone (calcium carbonate)+ PVC Powder + Stabilizer. Click joint system, which means a glue-less install for an easy transition in any space. · - Environmental protection, save the hardwood, save the forest. · - Sound absorption&Soundproof, it is sound insulation can deaden the noise of the room. · - Waterproof & Firebrick, It is water repellent, so the water could not penetrate into the floor. · - Anti-corrosion&long life time, provide the industry with better products and maintenance free for clients . · - Anti-slippery, Slip resistance make it more suitable for kids&the aged family,dance room and badminton court. · -Anti-scratch&Stain repellent, High quality wear layer making it exceptionally stain and scratch resistant. · -Good foot feels, they are warmer underfoot than traditional tile or stone. · - Eco-friendly, no noxious or chemical componet. · - NO swelling when exposed to water. · - Durable, will not expand or contract, very stable. · - No need for transition strips, no underlayment required, Micro Bevel reduces minor issues with flatness of the sub-floor and add to a more realistic appearance. 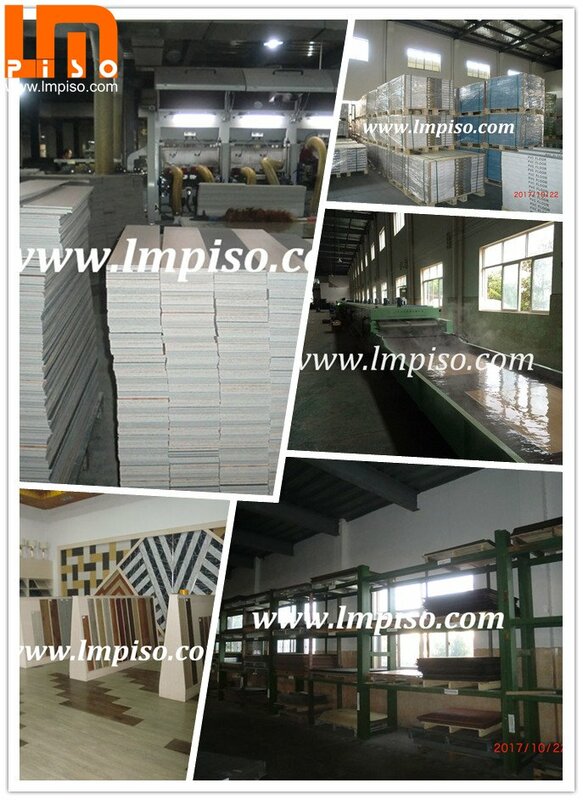 L.M serves customers with the widest range of PVC flooring, we have more than 2000 designs and more then 10 kinds of finishes to choose. 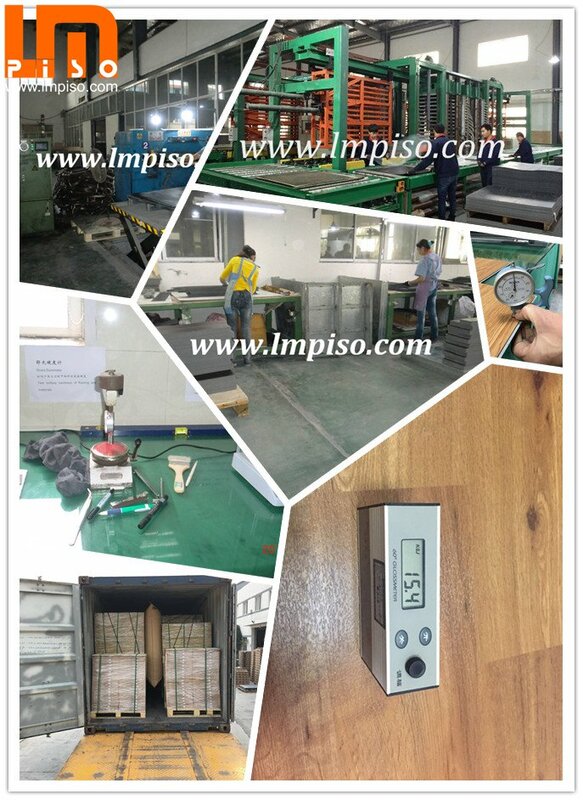 We got a rich experience in OEM production. There are more than 40 customers are doing OEM business with us now. We make sure every plank from L.M PISO is perfect in every aspect. In order to support clients requirement and cooperation, we have flexible payment terms. Our mature system will guarantee the best quality of flooring after sales.